Next post: Print It. Make it. Love it! 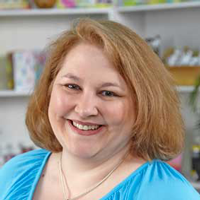 Retreat Recap! 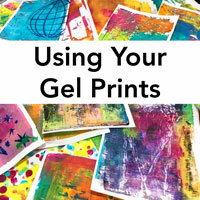 What can you do with your gel prints? One things is handmade cards! I love sending them but whenever I need one to send, I don’t seem to have the time to make it. So I created the Alpha Jumble stencil as a shortcut so that even on busy days, I can get something from the heart into the mail. 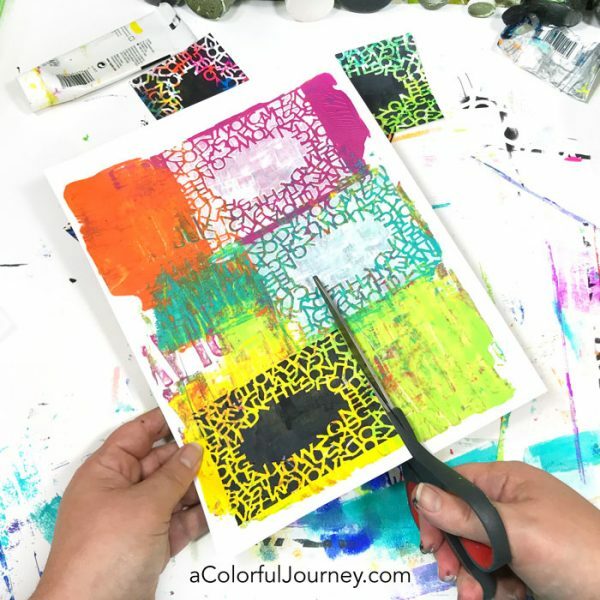 Watch Using gel prints with a stencil to make quick cards on YouTube. New to printing or want to more techniques? 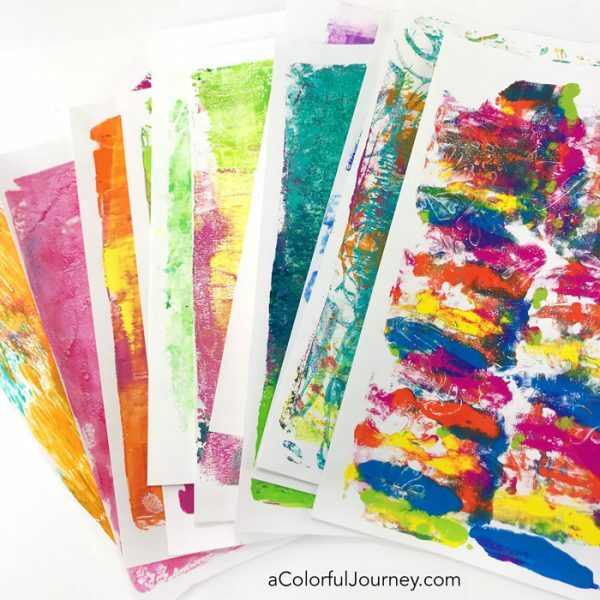 I’ve got a whole page of gel printing resources for you! I grabbed a few of my gel prints from my stash. 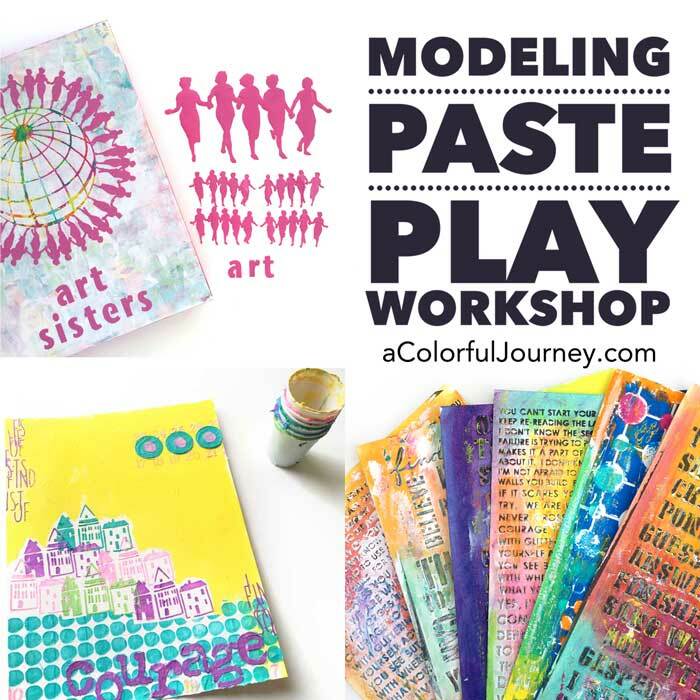 This technique works with any type of print from bold and busy to soft and subtle. 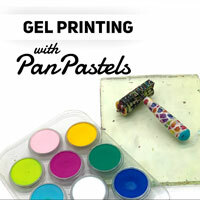 Using the fancy (from any drug store) cosmetic sponge, stencil with paint onto the gel prints. I tend to use either black or white paint for this stenciling. When they’re dry, cut them out. 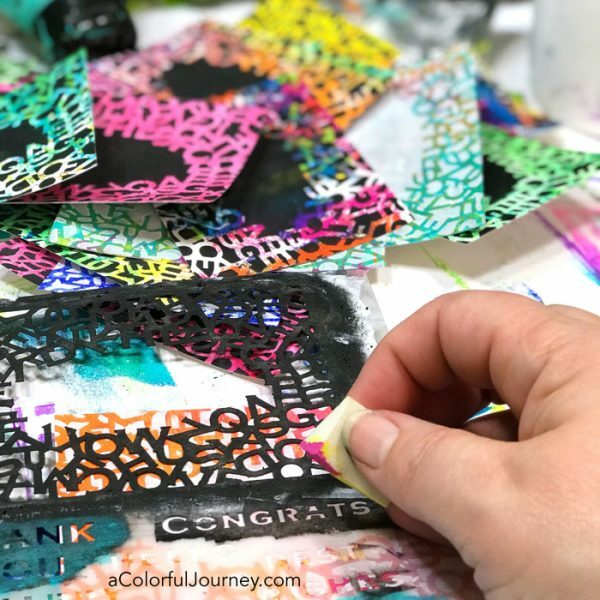 The sentiments on the stencil fit in the center, so by adding those to the papers, I have a complete card almost ready! 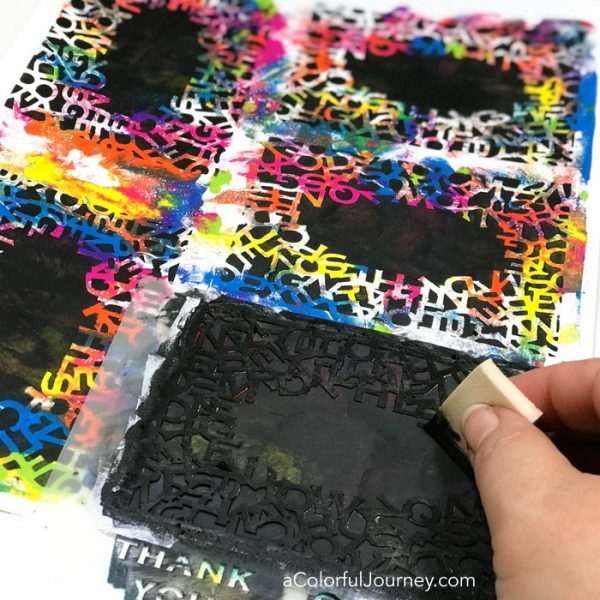 I left some blank because I will write inside of them and add them to art journal pages, some will become ATCs, and some are still blank so they are ready for me to quickly add a word that I need to create just the card I need in the moment. That makes it even quicker for the next card! To put the cards together, I felt like doing a bit of sewing. I just as easily could have glued them, but the muse said stitching today. 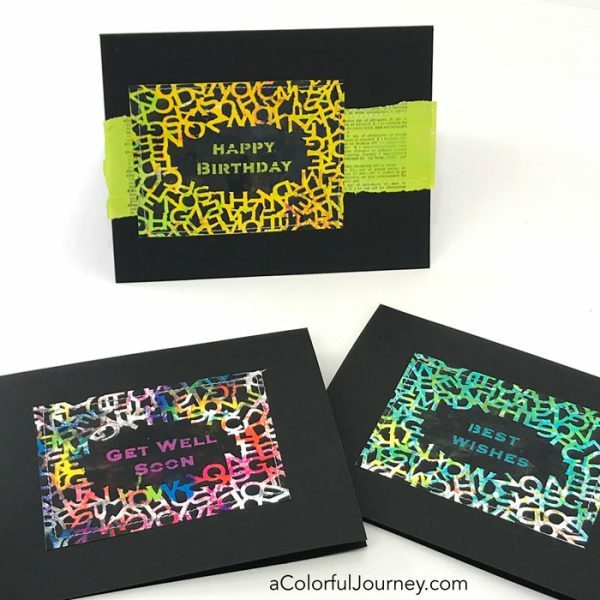 I quickly added a piece of scrap painted book text behind the Happy Birthday day card, but the other two were just the stenciled gel print. Notice the recurring quick theme here? Life gets busy but carving a few minutes of creative time really makes my day so much better, just ask my family how cranky I get if I don’t get that time! Love it! 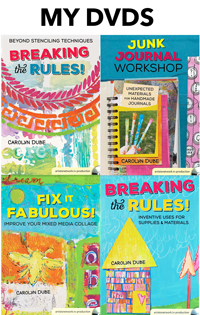 And what a terrific gift idea to give friends a stack of finished cards. Great cards, I feel a bit intimidated by all your beautiful art. Love your cards. 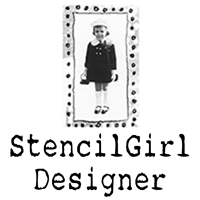 I have been using some mono prints from my gelli plate for cards. It makes them so unique.